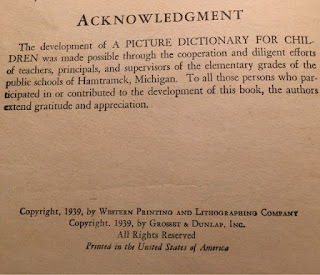 Last spring a wonderful customer sent me her childhood dictionary as a thank you after she purchased some of my artwork at a show. When the book arrived I knew I wanted to do something special with this treasure. 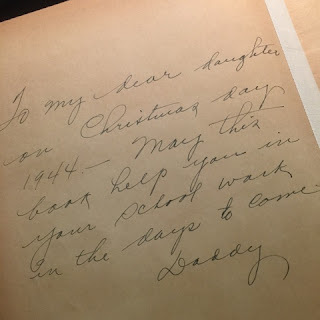 The first thing I noticed was the lovely inscription on the flyleaf that this book was a Christmas gift in 1944 from the owner' father. 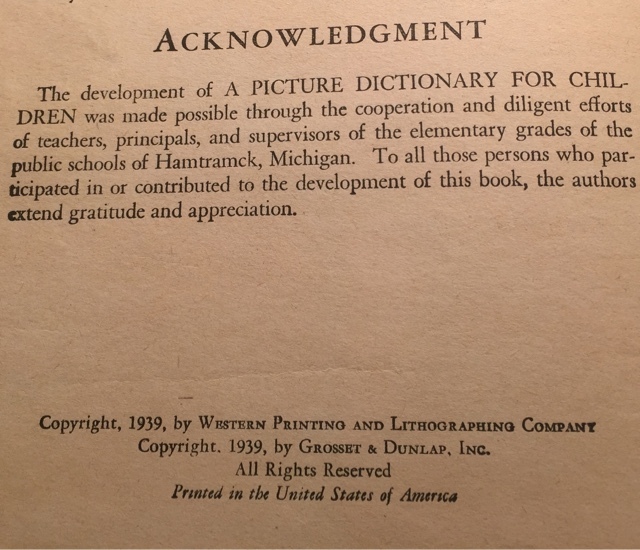 Next I noticed that the book was copyrighted in 1939. 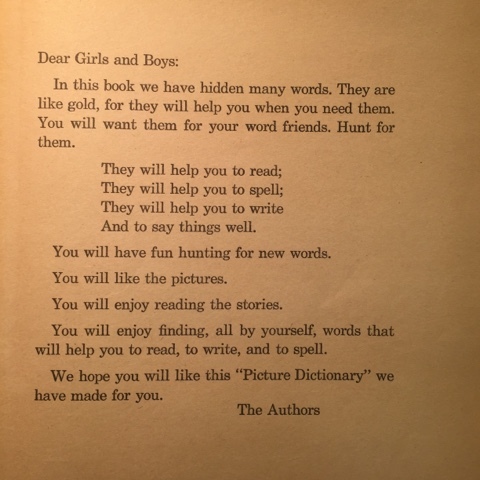 I also loved this page at the beginning of the book. After months of thinking about what I'd like to do with the book, I decided I wanted to create a series of drawings for each letter of the alphabet. 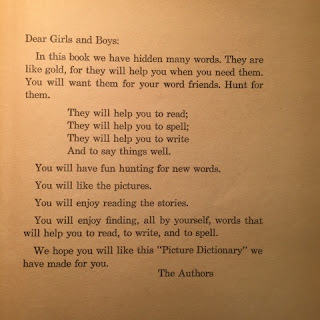 Unlike the other dictionaries I had used, this one had less text on each page - most only had four words defined with simple definitions. 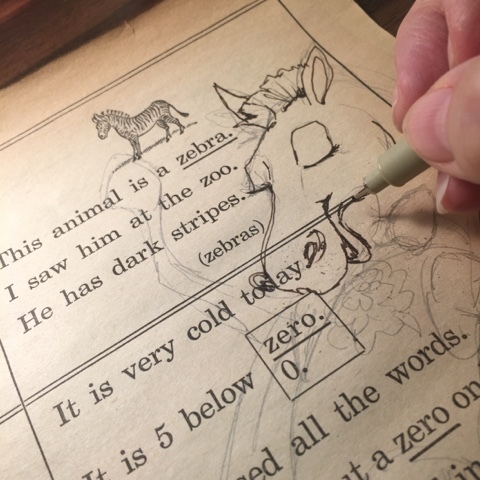 The first page I pulled to draw on had the word "Zebra." I also wanted to create more whimsical, cartoon-like drawings for this series, I decided that I wanted to make these drawings specifically for children. I've worked on a lot of very old and very fragile pages but this book took the cake. The pages were extremely brittle and stiff so the slightest touch created rips and broke off edges and corners. 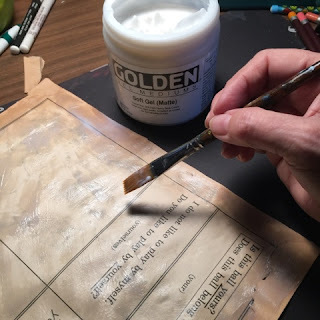 When I finished the first drawing I sealed the back side of the page with gel medium to try to strengthen the paper before scanning and framing. I'm exactly sure how I will frame or reproduce these drawings. I'm currently experimenting with lots of different ideas. So here is my first attempt to draw on this beautiful page. 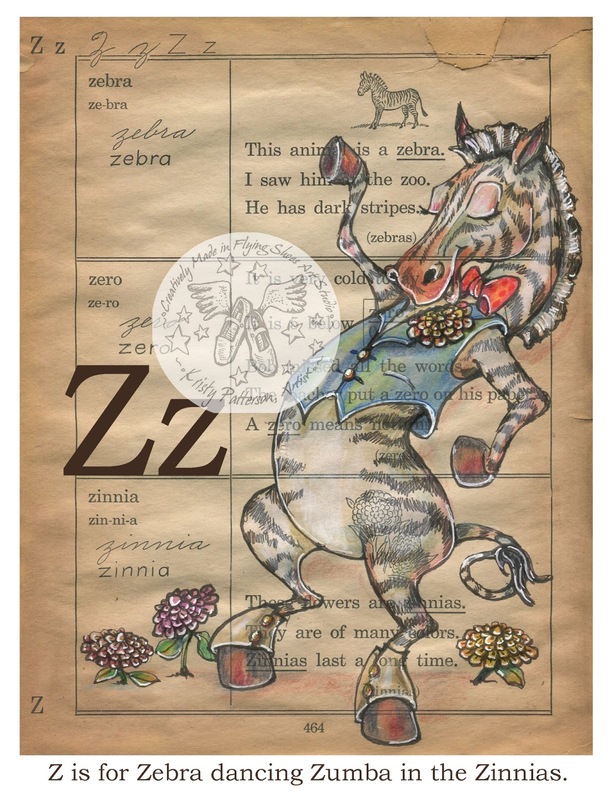 I had so much fun creating the dancing zebra frolicking through the zinnias. At first I wasn't sure what dance he was doing then my daughter made the perfect suggestion - Zumba. As you can see, I had to patch a last minute tear or two on the page. I think this repair just adds to the personality of the page. I can't wait to share his brothers and sisters.